Vibration and sound immersion using Tibetan Singing Bowls... This is acupuncture with sound and vibration! 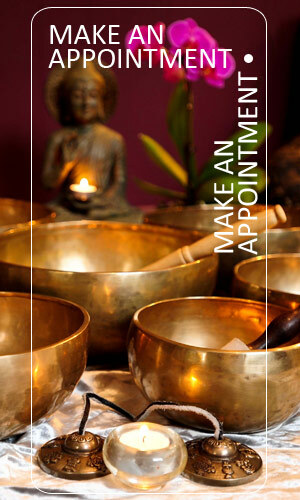 Phenomenally healing, energizing, and balancing using the absolutely beautiful sounds of Tibetan Singing Bowls. Custom-designed cold marble stones that contour along key headache sites and essential oils combine to counteract the top four migraine headache causes (food, environment, stress and hormones). Works for all headache pain. 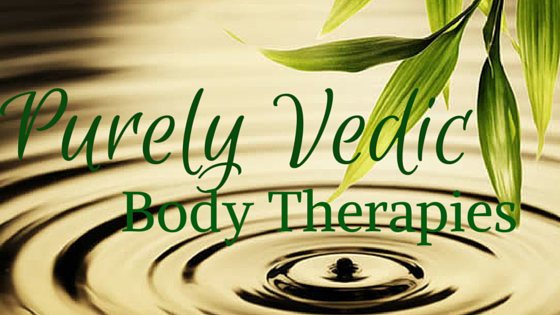 Ayurvedic Reflexology to release tension, increase circulation and flexibility, and promote health and longevity. A dough dam is placed over the heart and filled with a warm organic herbal milk precooked in Ashwagandha, Hawthorne, Cinnamon, Rose, St. John's Wort, Skullcap, and Lavender, which will nourish and strengthen the heart muscle, decrease stress, anxiety, grief, and anger, increase a deep sense of peace and inner joy, aide in the regulation of cardiac rhythms and functions, benefit the lungs and respiratory system, and lower blood pressure. Ideal for those feeling chronically fatigued, facing struggles with weight loss, or with reduced metabolism or to purify the blood. 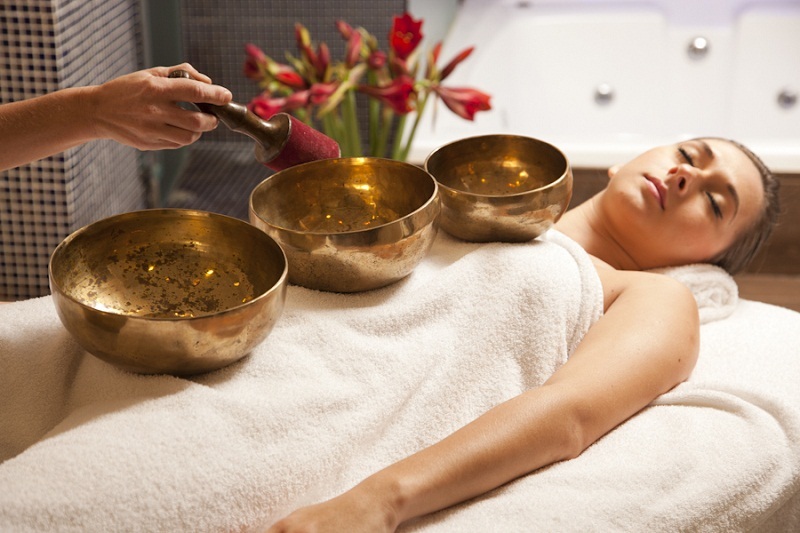 Strengthening, nourishing, and rejuvenating to the chakras, this treatment is beneficial on physical, psychological, emotional, and spiritual levels. This healing therapy is ideal for anyone suffering from headaches, disorientation, memory loss, or sinus troubles. Thai Yoga is an ancient form of therapeutic bodywork from Thailand which is based on Yoga and the science of Ayurveda. Unlike many Western massage techniques, Thai Yoga is performed on a floor mat to allow for maximum movement by practitioner and patient. Thai Yoga utilizes yoga postures, acupressure, and compression to achieve maximum flexibilit , bring pain relief in muscles and joints, as well as relief of chronic back pain and soft tissue disorders. 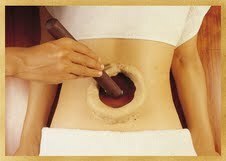 Warm medicated oil is pooled over the low back and spinal column. An excellent treatment for low back pain, stiffness, and arthritis. Bothered by searing pain in your knees? Get relief, strengthen your knee joint, and improve circulation! Nourishing and rejuvenating for the adrenals and kidneys, this is a wonderful treatment for anyone with excessive stress in their lives or anyone who consumes caffeine on a regular basis. 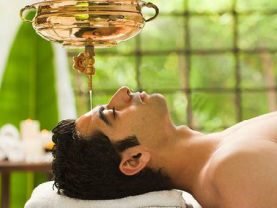 The most popular and most divine of the traditional Ayurvedic Rejuvenation Therapies - relax into a blissful state as a warm and gentle stream of oil slowly and steady flows across your third eye area. Dr. Norm Shealy, the neurosurgeon who developed the TENS unit for pain management, has proven that using these simple series of acupuncture points along with restorative essential oils increases multiple beneficial and supportive neurochemicals and hormonal markers in the human body. Schedule a Healing Session Today!